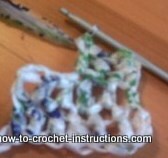 Plastic bag crochet is economical and eco friendly. 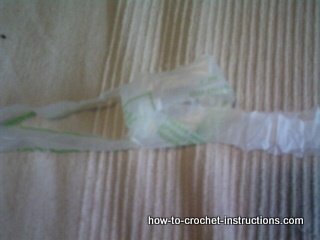 You can use up all your plastic carrier bags to make a strong new one and it is quite simple to do. 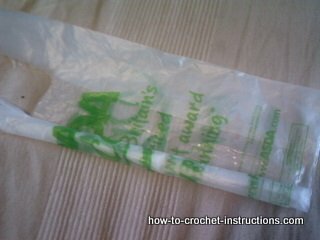 Although I am not giving you a crochet plastic grocery bag pattern as such, you will have all the info here to be able to design and make your own. 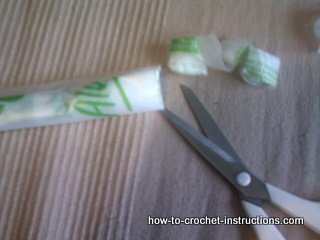 Cut off the bottom and the handles and discard these. 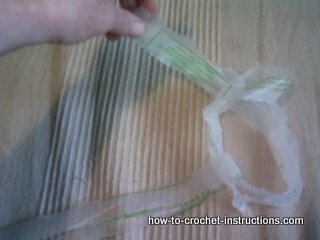 Then cut the bag into approximatley one inch width pieces. 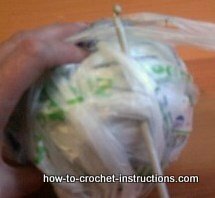 Continue joining the peices to gether and roll them up into a ball of "yarn"
I haven't actually designed a crochet plastic bag pattern. There are two reasons for this. 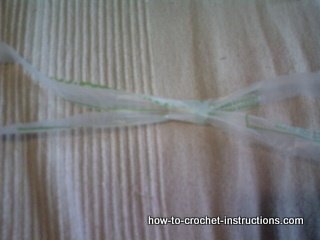 One is that it is not possible to to give an exact design. There are too many variables - the thickness of the plastic, the width of your pieces and the hook you will find easiest to use. 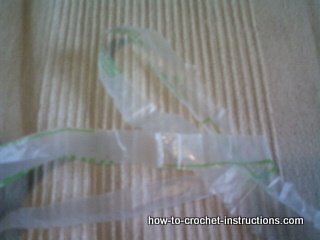 Basically though, make a length of chain roughly the width you want your bag and keep crocheting until it is the length you want it. 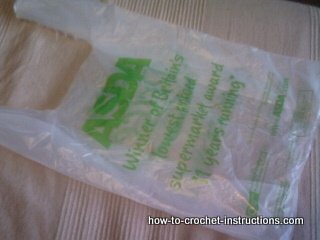 You should end up with a sort of net bag which is nice and strong. 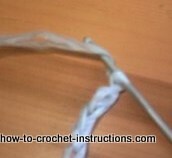 You might find it easier to work in a round using slip stitch so that you have fewer seams. available from Amazon for UK residents.